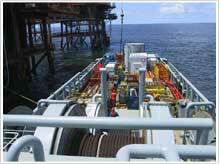 Supply Vessels serve drilling and production facilities and support offshore construction and maintenance work. 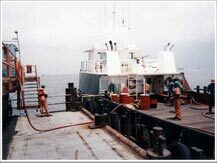 In addition to deck cargo, such as pipe or drummed materials on pallets, our supply vessels transport liquid mud, potable and drill water, diesel fuel and dry bulk cement. 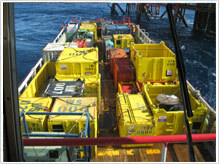 Their design permits large quantities of other materials such as casing, drill pipe, tubing and miscellaneous deck cargo to be transported on the large open decks. 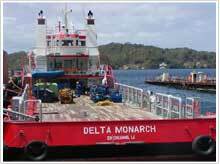 These vessels are characterized by their maneuverability, fuel efficiency and firefighting capability.